I was lucky enough to get a sneak preview of the session that was to be delivered to the SFD16 delegates in Boston. 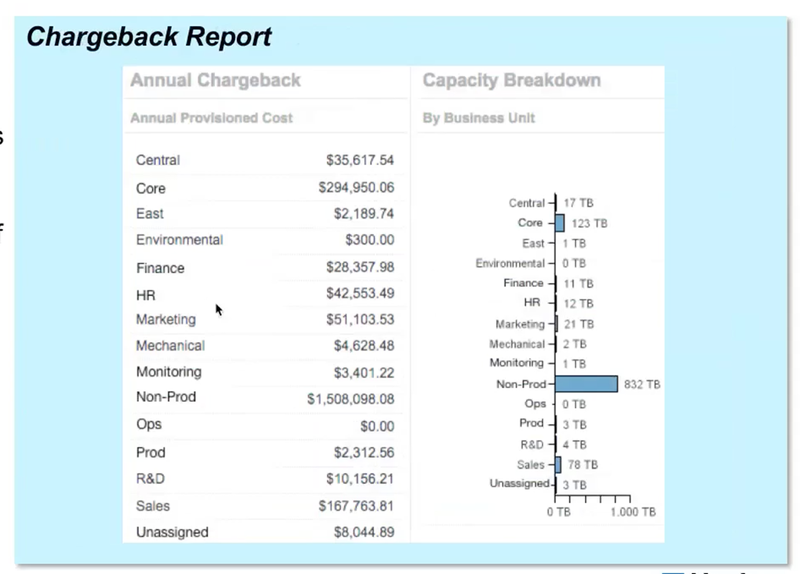 Coming from a NetApp background I have been very impressed by NetApp OnCommand Insight as a product throughout the years, yet the frustrating thing was how all of that information and data was only available at an absolute premium to the top companies or largest enterprise customers around the world. This made or makes me sad. The “insight” see what I did there that this tool can gather is AMAZING! It’s not limited to only NetApp storage it can gather information about pretty much all storage systems in a given environment. Along with host data from vSphere and other hypervisors, network information from switches and also fibre channel fabrics. It’s a really impressive bit of kit. The following WHYs are pretty generic to every monitoring and reporting tool but stick with me on this. Increase customer satisfaction – if you are a service provider or enterprise the satisfaction of the service delivered is always a high priority. Reduced MTTR (Mean time to recovery) – everyone wants to speed up that recovery process. More business alignment – I think they mean by having visibility they can make sure all areas of the business are going in the same direction and things can be more efficient. 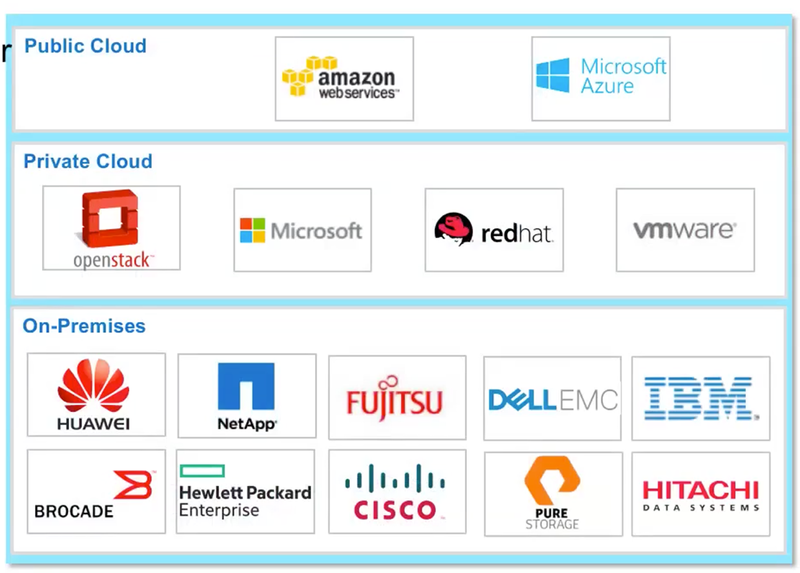 Now this is the bit that interests me, the ability to gain insights across the hybrid environment stack. Most other tools would require an agent to reach these large-scale environments and be able to report on all elements of the stack. This is not the case with OnCommand Insight there are no agents but still the ability to provide massive scale regardless of where the endpoint is placed. I mentioned before also how this is not just a storage insight tool it can monitor the whole environment stack including networking, hypervisor, VM and in most cases also the application layer. Probably one of the most powerful features of this product is that now you have the visibility into your whole environment you can now start to put a price on those resources and have visibility into areas that are not being used or underutilised giving a better way of optimising your investments. The absolute goal for any monitoring software vendor is to discover issues before end user are affected. 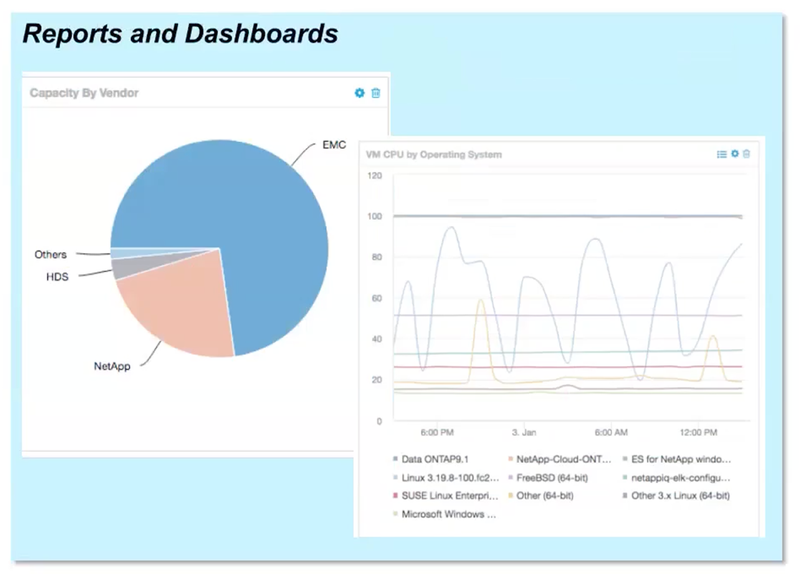 OCI can help discover and monitor the entire hybrid infrastructure as I mentioned above, this gives you the visibility into latency, traffic, errors, saturation and availability whilst also giving you the ability to customise alerts for given objects within the environment. As well as monitoring we want to be able to fix problems faster, the fact that OCI brings this end to end analytics means the goal in helping return the operational state back as fast as possible. 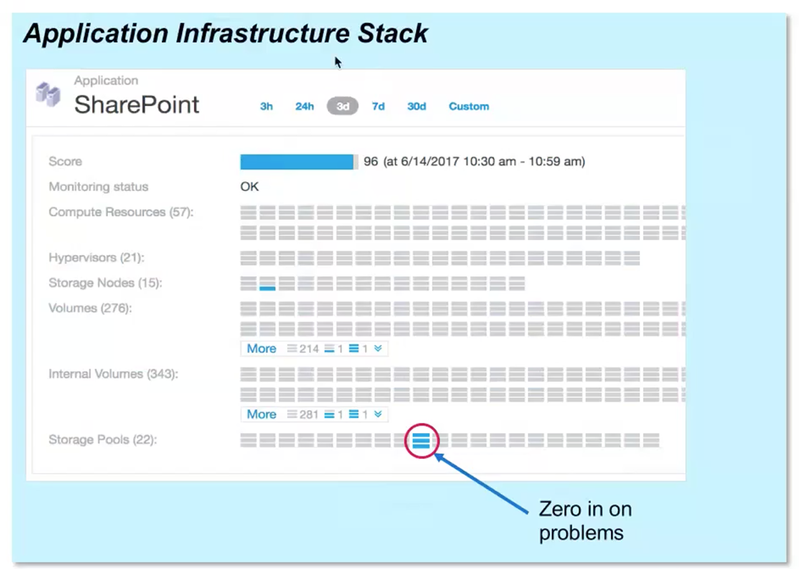 The ability to see metal to app service path and take those metrics for analysis to identify correlated resources, if an application is taking up more resource than it should or if the performance of an application server is degraded, all this with also the ability to detect anomalies within the environment and alert on them. 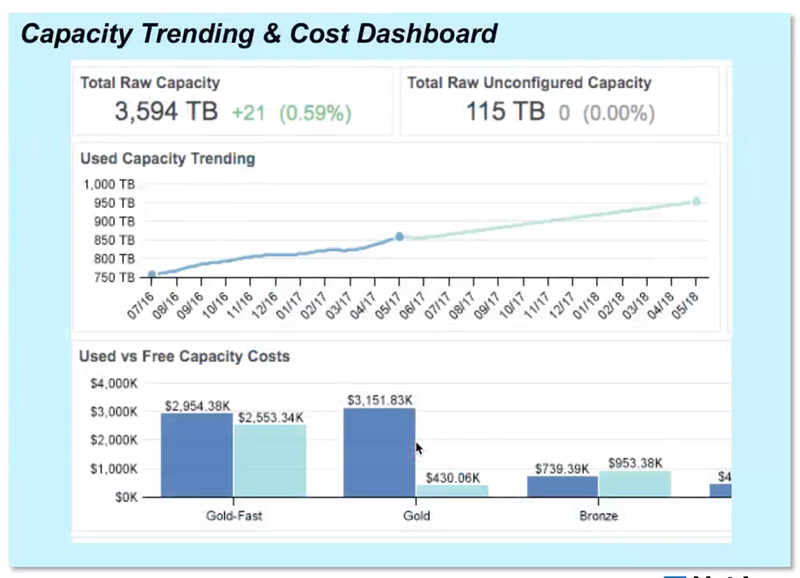 The cost control then leads to the chargeback or show back models, how can you actually take that insight and report back what is being utilised and break down those infrastructure usage models. As a service provider or an enterprise wanting to act like a service provider the ability to see which resources are being used and then to create those reports. This isn’t too dissimilar to other reporting offerings that can do the same, where this does get interesting is how this data can then be fed into a billing system. We are in a world where we want to see everything in one place, or maybe we have always been there but now there is a chance we can get a lot closer. 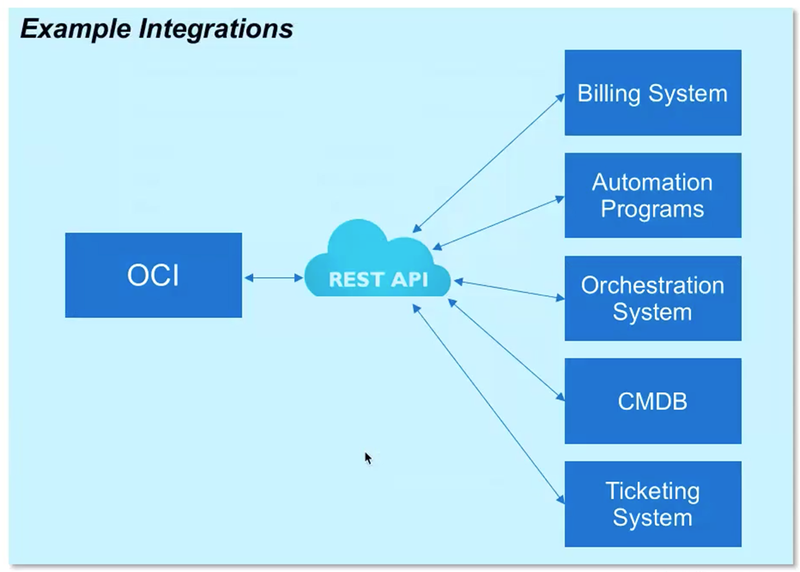 OCI’s REST API will allow you to integrate your surrounding infrastructure with IT and business process. This can enable further automation, billing, capacity planning and management, support ticketing. I am excited by some of the features that come with OnCommand Insight but I am still not convinced this is being opened up to the masses, but following on from this we will see some news on a new product from NetApp called Cloud Insights.